Description: Worried about the monsters underneath your bed? 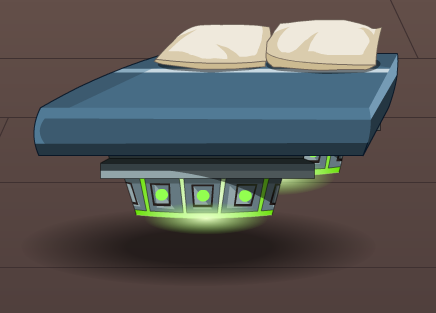 Fear no more—this levitating bed ensures that no beastie will sneak up on you while you sleep! Thanks to Flitterifie and GustavoKnach.